Raksha Bandhan is a very special tradition that celebrates the relationship of love and purity by tying a “Rakhi” or sacred thread around the wrist. The word Raksha signifies protection whereas Bandhan means an enduring bond of love. 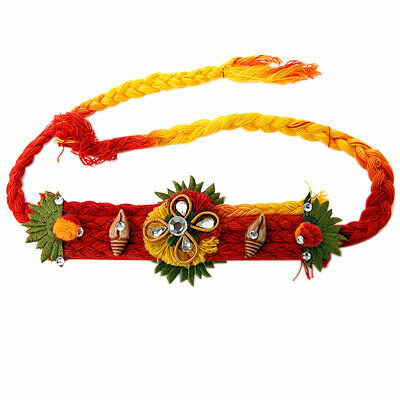 Traditionally, Raksha Bandhan is considered the sacred bond between brothers and sisters but the Rakhi could be tied by wife, a daughter or mothers. 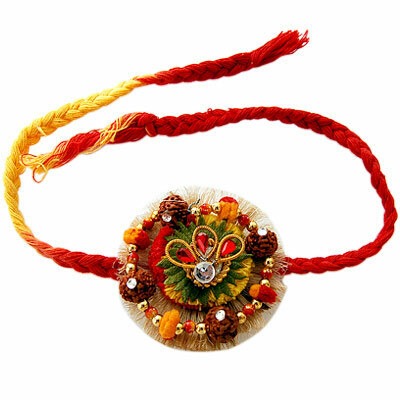 There are numerous historical and modern day examples which show that Raksha Bandhan has a much broader connotation. There are interesting references of Rishis tying the sacred bond to the people who came to seek their blessings. This signified protection from any ensuing evil. Then, the festival also symbolizes peaceful coexistence, which is evident when neighbors and friends tie the Rakhi on each other’s wrists. Rakhi also holds a lifelong pledge to practice moral, spiritual and cultural values. We are so lucky that we get to celebrate Rakhi and have this relationship of love with GOD himself – He is our father, our companion, our friend and someone with whom we can experience all our relationships. He protects us, loves us and cares for us and He has come especially to be bound in this link of love with all of us special souls. While a human being no matter how able and well-intentioned cannot guarantee being able to protect me due to physical limitations, I am guaranteed protection by the Supreme Being anywhere and at any time. 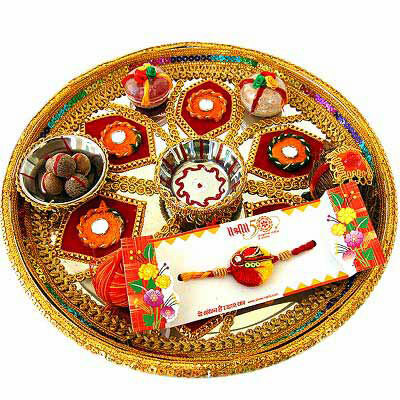 As is the custom, there is then an exchange – the person who ties the Rakhi sweetens the mouth with something delicious while the person who got the Rakhi tied gives a gift. But what can we give GOD! What use is all this wealth and other material comforts to Him? These are all His gifts to us anyway so that we can live comfortably! So what CAN we give GOD? All He cares for is that we remain lost in His love and live up to the image of the great souls that He knows we are. Let this be a special Rakhi in which we all take a pledge that will bind GOD to protect us. So per His wish, let us pledge to eliminate all waste or impurity from our thoughts and make every activity divine. Let me become an image of being happy, the image that attracts and remembered in the form of idols. Let me be so lost in His love that my every thought, word, action and my very face reveals Him – His qualities. Let me sweeten the mouth with the victory I feel when I overcome the vices. To fulfill this pledge, I consider myself a soul and God, the Supreme soul, as my companion. I will meditate for 15 mins each morning to connect with GOD to fill myself with His powers and remind myself to be an embodiment of my original qualities of Peace, Purity and Love. By doing this I become an image of happiness and stay under His canopy of protection all day. So, let this be a Rakhi where we make GOD our eternal friend, companion and guide for true peace, happiness and prosperity. Om Shanthi! Gallery | This entry was posted in The Self and the Supreme. Bookmark the permalink.